Rally the team! Check out our selection of custom rally items sure to get the crowd fired up! From caps and t-shirts to banners and rally towels, we’ve got everything you need to boost team spirit and get the crowd roaring. Get those bleachers rocking, for less cost than you might expect! Want to save big? Go for one of our custom bundles! These great combos give you a banner, shirts, and towels, hats or both, even engraved wristbands, all at substantial savings. The more you buy, the more you save. We even include free shipping. Show the other guys your team means business. Flood the stands with your logo and watch your team play harder for the fans who have their back! You want it, we’ve got it! The classic baseball cap, custom embroidered with your team logo. These great looking caps are ideal for any team, We use state of the art embroidery equipment and top quality materials to ensure your caps will look great and wear well. Let the other teams know who you are! Great-looking custom printed vinyl banners announce your presence boldly. Print your logo, team name, even the names of your players! With UV inks that allow bright, lasting colors even in sunlight, heat welded hemmed edges for extra strength and metal grommets on all four corners, these banners are designed to last! Get your team – and fans – fired up with Custom Rally Towels! 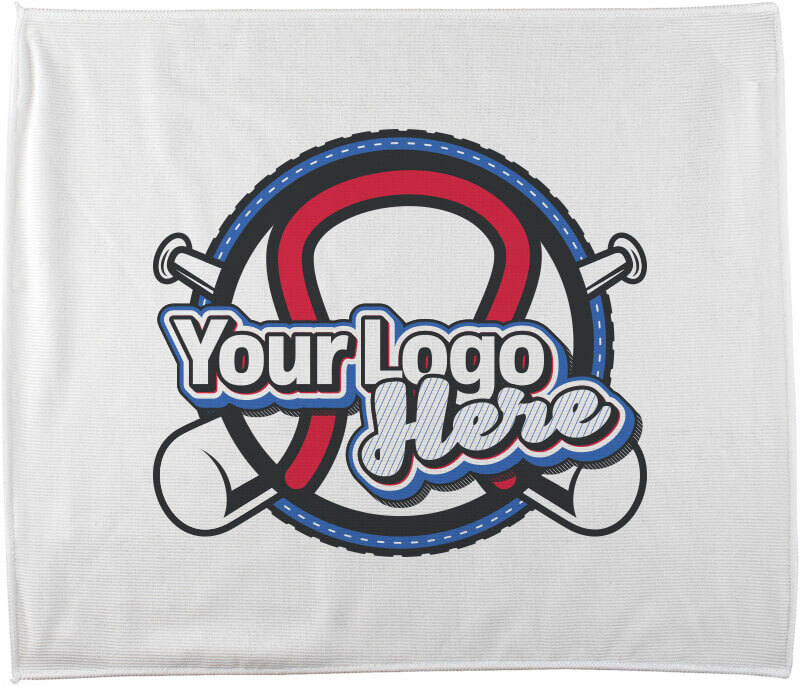 These high-quality poly blend 15”x18” towels are available for your team. Show your team spirit wherever you go with custom team color wristbands! Our classic engraved wristbands are an outstanding way to keep team camaraderie and winning attitudes high. Include your team name, logo, even individual player names! Standard debossed wristband, laser engraved in house. The pricing above includes front and back message and shipping. Feel free to browse our website for pricing and design ideas you may wish to incorporate into your team's custom trading pins. Simply fill out the Free Quote Form below to receive a detailed price quote, or send us an email at [email protected] at your convenience. Our staff can help answer any questions and provide suggestions or recommendations for your baseball pin, softball pin, hockey pin or any event or sport pin at (866) 860-8842 9am to 6pm EST during the week as well.